Previously: Why Heed Prophetic Counsel? With the recent passing of Church president Thomas Monson and the installation of Russell Nelson as Monson's replacement, I was curious to see whether this time the leaders of the Church would follow the instructions outlined by the Lord regarding succession to the presidency. This is an action not to be taken lightly, if only for the fact that since the mid-twentieth century, the man selected to be president of the Church is also considered to be the Lord's mouthpiece on the earth. So my feeling is, if they're going to pick a new president, they'd better get this one right. "There have always been false prophets and self proclaimed would-be leaders who have sought to establish their own claim to presiding authority...One's eternal salvation depends upon the ability to recognize and know the true servants of God -those who are authorized to preach His gospel and administer the sacred and saving ordinances thereof." 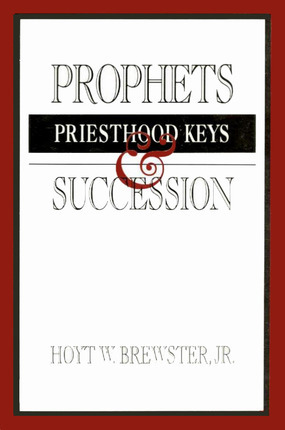 That quote comes from a book by Hoyt W. Brewster, Jr. titled Prophets, Priesthood Keys, & Succession, published in 1991 by Deseret Book. Brother Brewster is also the author of The Doctrine & Covenants Encyclopedia, a reference book I refer to frequently because Hoyt Brewster knows the D&C inside and out. It's clear from section 124 that in order for us to recognize God's true mouthpiece, we are expected to hearken unto the Lord's voice, which is always conveyed by the voice of one of His servants. Check your doctrine & Covenants. That book is chock full of declarations in the first person voice of the Lord, relayed to us through his servant, Joseph Smith. So it stands to reason that if Russell Nelson has been called by God to lead the Church, somebody should have received a revelation from the Lord saying so, and according to established protocol, shared that revelation with the members of the church. I haven't seen one of these revelations, have you? What I have seen over and over in recent weeks is unsupported assurances by Church leaders, Church public relations experts, and various Church apologists designed specifically to mollify any concerns Church members might entertain, in order that all can be confident that every part of the process has taken place, as the new president himself has declared, according to "the divine plan of succession put in place by the Lord Himself." "As the President of the Church dies, the First Presidency is dissolved and the mantle of leadership goes to the senior man and to the Quorum of the Twelve as a body. At this point the Quorum of the Twelve Apostles becomes the First Presidency until a formal reorganization takes place." What is lacking in Gary's description is any mention of the Lord's involvement in this process. Did the Lord ever instruct the Twelve to dissolve the First Presidency? If so, where is the revelation calling for that action? Also, where did the Lord indicate that the presidency of the Church is to devolve to the senior apostle? And what revelation informs us that the Lord desired the Twelve Apostles to become the acting First Presidency in the interim? "The Church today has been organized by the Lord Himself. He has put in place a remarkable system of governance that provides redundancy and backup. That system provides for prophetic leadership even when the inevitable illnesses and incapacities may come with advancing age." Okay, Russell, you've got my attention. You say the Lord has put this system in place. Please tell us about that. "The organization of the modern Church of Jesus Christ is patterned after His ancient Church. The divinely inspired structure provides a solid foundation for the functioning of the Church." Nelson doesn't appear to be providing any further insight as to God's direction in this matter, but he does tell us the system is patterned after His ancient church. Okay, so we know that the pattern Jesus used to appoint his apostles was by anointing them personally. That gels with His statements in section 124 above where he declares his authorized servants must be appointed by Him. "You have not chosen me," he told the early apostles, "but I have chosen you. Yet that is not the way things are done today, and Nelson has still told us nothing about how the Lord laid out the procedure for selecting a new Church president in modern times. 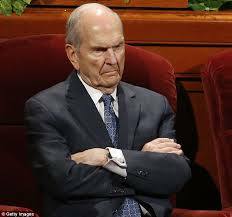 The only thing Elder Nelson -excuse me, I meant to say "President" Nelson- said about the way it happened for him was his brethren in the quorum "placed their hands upon my head to ordain me and set me apart as president of the Church." Okay, but why them? Why didn't Jesus ordain you Himself? Didn't you just imply that the Lord handles these matters the same way he did with the ancients? Could He not have at least issued a verbal approval so everyone in the room could hear it and be sure they were ordaining the right guy? 2. All the living apostles gathered in the upper room of the temple and made a unanimous decision to reorganize the first presidency and choose to have Nelson serve as president of the Church. These guys boast constantly of being prophets, seers, and revelators with all the gifts, abilities, authority, and "keys" that Joseph Smith possessed. We have plenty of evidence that the prophet Joseph was the conduit for numerous oracles -verbal communications uttered from the mouth of Jesus Christ Himself. So how come Nelson makes no mention of Jesus having any say in his "ordination"? If the Lord is not going to make an appearance at what the Brethren keep referring to as this most "historic" of occasions, when exactly does he communicate with these men? So far, no one in the Church hierarchy has provided any revelation that would give us reason to believe the Lord chose Russell Nelson as his latest servant. All we know up to this point is what Nelson has told us about his colleagues choosing him, and that they were unanimous in their decision. That doesn't mean a thing without an appointment from God. Recall that Jesus makes it clear that He will appoint his servants; it is not enough for Russell's pals alone to agree he gets to have the top job. If we are to recognize Russell as a prophet, as Joseph Smith was, why won't Russell read to us from the revelation the Lord conveyed to him appointing him to his new office? There has to be one, right? So why is that important detail missing from every online account? All we've gotten from Nelson is a statement akin to "Jesus has not chosen me, but my pals in the Quorum have chosen me." Well, that just isn't enough. He can't get away with telling us the system has been provided by the Lord Himself and not be willing to show us the Lord's words on the subject. I watched the entire video where Russell Nelson and Todd Christofferson attempted to convince us this was taking place under the direction of the Lord, without either of them citing one single word the Lord said about it. We're clearly not getting any answers from these guys. Let's try someone else. "There is no mystery about the choosing of the successor to the President of the Church. The Lord settled this a long time ago." "The senior apostle automatically becomes the presiding officer of the church, and he is so sustained by the Council of the Twelve which becomes the presiding body of the Church when there is no First Presidency"
Well, that just brings us back to square one. He still hasn't explained where we can find the Lord's instructions on this. 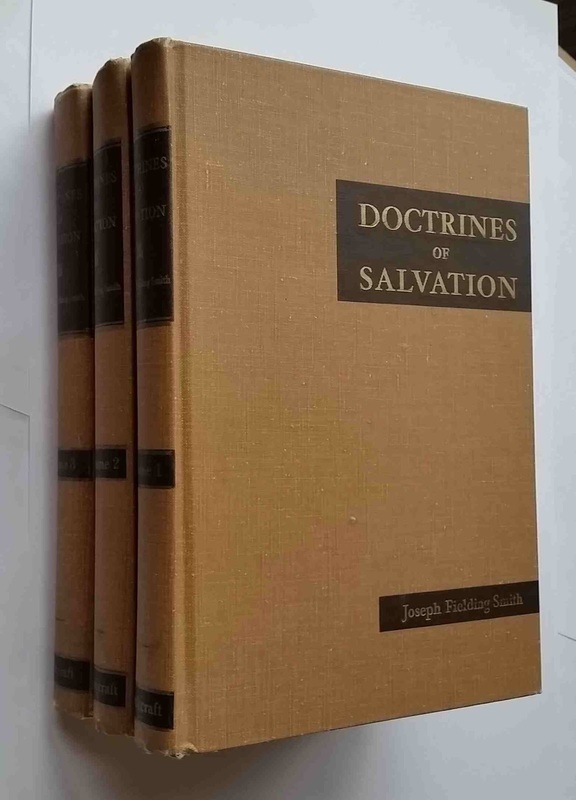 We're used to seeing Joseph Fielding Smith pile on the citations to back up every teaching he expounds upon, but in this instance, just after he assures us that the Lord has settled the process, he fails to provide any citation proving that allegation. We are not any closer to solving the "mystery" of the choosing of the successor to the president of the church than we were before. Okay, we get it. This is the way it's always been done. But can someone please show us the original revelation from the Lord so we can understand the Lord's actual instructions about it? "This is simply a historical precedent first set by President Brigham Young, and despite there being nothing in the Doctrine and Covenants about prophetic succession, this pattern of sustaining the most senior apostle as church president has been followed so consistently that it might as well be doctrine. Let that sink in. 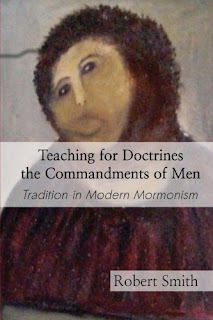 It might as well be doctrine! Looks like we've found the problem. If we are going to accept the traditions of men over the actual doctrines of Christ, we may as well do whatever we want -and the leaders certainly operate that way today. It might as well be doctrine to baptize infants by sprinkling water on them, because, hey, the Catholic church has been following that pattern consistently for so long. Likewise, Mormons might as well let their clearly unauthorized method of choosing a new president continue as it has because this is the way we've been doing it like, forever, dude. So what does it matter if the Lord had a different pattern in mind? Who is HE to tell US how to do things? Make no mistake about it. The Lord most certainly did provide a method for succession in the presidency, but it decidedly did not involve anyone in the Quorum of the Twelve. In fact, those twelve men, every last one of them, is specifically prohibited from having any governing role in the church whatsoever. Interested in false teachings in the LDS Church today? I can show you a whole book full of 'em! Edward Leo Lyman is a historian of Mormon studies who spent over forty years studying the diaries and minutes of the Quorum of the Twelve. And what their words have to tell us about their experiences trying to sort out the succession mess belies the revisionist history the Church puts out today. Lyman is author of Succession by Seniority: The Development of Procedural Precedents in the LDS Church, published in the Journal of Mormon History,Vol 40, Issue 2 (Spring 2014.) As we can deduce from the title, succession in the presidency as we know it today did not arise from any scriptural directive, but it developed over time as the leaders adopted a series of gradual precedents. One thing that may surprise you from Brother Lyman's research is that following the death of Brigham Young, the one thing most members of the Quorum agreed on was they did not want the church to have another president. It might be necessary here to remind the reader that the Sunday School version we were taught about Brigham Young's ascension to the presidency is simplistic, to say the least. The story, as understood by the typical latter-day Saint, goes something like this: when Joseph Smith died, Brigham Young and Sidney Rigdon debated about who should be president of the Church. Brigham Young won. The reality is a bit more involved. In the first place, as the Radio Free Mormon Mormon broadcast thoroughly documented, it was not called a succession "crisis" because there was a shortage of claimants; it was called a crisis because there were so many contenders with reasonably valid claims. But let's focus for now on the Sunday School/Primary description of what happened, the debate between Brigham Young and Sidney Rigdon, because that debate is instructive. The debate was not over who should be the president, but who should be the "guardian" of the church until Joseph's eldest son, then 11 years old, came of age. Rigdon argued that as remaining member of the First Presidency, he should be the guardian. Brigham Young argued that with the deaths of two of the three members of the presidency, that body was effectively over. Kaput. Dissolved. 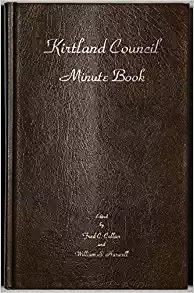 * He insisted there would be no first presidency in the church any longer, but that the church would be better served if it were looked after by the entire quorum of the Twelve as a body rather than just one man calling the shots. *This is the genesis of the false teaching that somehow the Twelve are empowered to "dissolve" the First Presidency. The First Presidency under Joseph Smith was automatically "dissolved"-not intentionally, but by circumstance, when its two co-presidents unexpectedly left the planet. That dissolution occurred by itself, without any required input from the Twelve. There's more to it than that, and you can get a full account of the nefarious machinations of Brigham Young following the death of the prophet Joseph Smith by reading or listening to Apostolic Coup d'etat: How The Twelve Apostles, in a Breathtaking Power Grab, Assumed Absolute and Complete Control of the Church of Jesus Christ of Latter-day Saints. I've provided links to both the audio presentation and the transcript of this two part series on my blog where you can find them by clicking here and here. What the saints ended up voting for -at least what they thought they were voting for- was for the church to be managed by all twelve apostles acting in concert, until Joseph Smith III could "take his rightful place among this people." It did not occur to anyone that Brigham Young intended to be president himself, and certainly no one voted for that. Three years after the people voted to be governed by the Twelve, Brigham Young led the first body of saints to the Rocky Mountains. Then he returned to the remaining saints at Winter Quarters where he tried to persuade Wilford Woodruff to nominate him as head of a newly constituted First Presidency, with his obsequious cousin Willard Richards and his BFF Heber Kimball as counselors. Initially Woodruff resisted, saying he did not believe such a thing could be done without a revelation. But Brigham kept Wilford awake for two days and eventually wore him down, until eventually Wilford agreed to propose Brigham's name to the people, whereupon Brigham got himself elected by the Saints to be their presiding officer. The vote was far from unanimous, because many of the Saints and some of the apostles had not participated in the voting, having by this time left Winter Quarters and moved half-way across the country to Utah territory. When it was announced to the Utah saints that Brigham was now their new president, what could they do? The deed was done. Now mind you, Brigham never pretended to be a prophet; in fact he denied that possibility several times over the years. But he had been elected president of the church, and he presided over the saints with a "strong hand" until his death 33 years later. So for a long time after Brigham Young, there was no First Presidency. What governing was required by the church was dealt with by the entire quorum. However, two years later, on September 6, 1879, John Taylor, the apostle next in line in seniority, decided he did in fact want to organize a new First Presidency with himself at the head, only to have his proposal shot down by the others. Not willing to give up the dream, Taylor renewed his proposal again the following month, only to see it rejected again. A year after that -three years after the death of Brigham Young- John Taylor finally got to be president of the church. By this time the president of the Quorum acted as de facto president anyway, so the opposition weakened and the quorum more or less said, "what the hell, what does it matter?" This was the beginning of the pattern of succession to the presidency we have today, which was shaping up not as a result of any revelation from God (nobody had been receiving revelations for the Church since Joseph and Hyrum were taken), but simply as a matter of tradition and expediency. Years later still, as John Taylor's death became imminent, there was more conflict in the quorum, as some of the junior apostles claimed (correctly) that there was no reason Taylor's replacement as president had to be the most senior apostle. It could be any one of them. Of course, that was true. As long as the custom insisted an apostle was to take over the office of president, it could be any one of them, because the Lord had never declared any apostle, senior or junior, belonged in that office. So for two years following John Taylor's demise there was more delaying, infighting, and jockeying for position in the quorum. But over time things shook out and a new first presidency was installed with Wilford Woodruff at the head. From then on, tradition has dictated that the senior apostle always moved into the spot as president of the church. The Lord has never had anything to do with setting up this pattern. In fact, the argument could be made that the reason the Lord has abandoned the Twelve to their own devices is precisely because they have disobeyed his instructions and rejected their revealed duties in favor of assuming power and authority over the church which He never gave them. So, how do the duties of the Quorum of the Twelve differ from the other leading quorums? Well, the First Presidency is a governing and administrative body within the church. The High Council is a governing and administrative body within the church. So where does that leave the Twelve? Answer: they are not a governing or administrative body within the church. The Twelve are "sent out" to be the Twelve Traveling Councilors, to build up the church abroad. That's why the apostles were so often in Great Britain; their role was to function outside the perimeters of church headquarters. They were expressly forbidden from interfering where the Church had already been established. In case you're having trouble following all this, it means the Twelve were not permitted to run the church when the church was headquartered in Nauvoo, and they're not allowed to run the church now that it's headquartered in Salt Lake City. If all this goes against everything you've ever been taught about the way the church is supposed to be governed, I understand your feelings of dissonance. But these are the rules given to the Twelve by the Lord through revelation. You can find them in your scriptures. These instructions the Lord gave to the Twelve are not exactly followed by that quorum in the Church today. The Lord gave them no authority to dissolve the First Presidency, nor do they have any authority to reconstitute the First Presidency once they've dissolved it, nor can they fill it with three of their own. These are usurpations the Twelve have taken upon themselves, absent any authority from God to do so. I suppose the Lord Jesus Christ, who the scriptures tell us, is the same today, yesterday, and forever, could have later changed his mind about the duties of the Twelve and put them in charge of running the entire Church. He could have. But He didn't. If He had, we would have a revelation showing us the Lord had reversed Himself. The Lord created two distinct high councils: a standing high council, and a traveling high council. Their duties do not overlap. The standing high council was "appointed by revelation for the purpose of settling important difficulties which might arise in the church." That body was formed on February 17, 1834, and you can read all about it in D&C 102. At that time there was no quorum of Twelve Apostles in the church. That body was yet to be formed. Joseph explained to these twelve men that their duty was to preach the gospel outside the local boundaries of the church. This "traveling high council," also known as the Quorum of the Twelve Apostles, was formed on March 28th, 1835. This was one year after the creation of the standing high council, and five full years after the church itself was formally organized. There had been missionaries sent out from the beginning, but the Quorum of the Twelve were given the authority to only do missionary work and nothing beyond setting up branches abroad. The Lord appointed Brigham Young to be the president of this newly minted traveling high council. This was the only calling the Lord ever extended to Brigham Young: director of the missionary program. Section 107 is known as the "Revelation on Priesthood" and in this revelation the Lord is making it very clear that His church was not to function in the hierarchical fashion it has developed into today. He designated four separate and distinct quorums, each with separate duties and responsibilities, while specifically stating that each quorum was "equal in authority" to the others. That is, the church was not created to be a top-down organization as it is today, but a flat structure with none of the leading quorums in authority over another. They were all equal in authority. There's a lot of stuff covered in section 107 (there are a hundred verses), but for our purposes here we're going to skip over most of it and focus on the relationship between four particular leadership bodies, then narrow that down to the two that are pertinent to this discussion: the body that had jurisdiction within the church, and the one that had jurisdiction outside the church. Grab your D&C and follow along with me while we look at the way the Lord lays it out. First, there's the First Presidency. Where does it come from? Is it supposed to be made up of former apostles? Nope. The prophet Joseph Smith reorganized the First Presidency several times during his lifetime, and not once did he cull from the Quorum of the Twelve to replace one of his counselors. Not one single time. Ever. Why not? Well, when the Lord describes the duties of the Twelve, you'll discover that if Joseph Smith picked one of them to be in the First Presidency, he would be removing that man from the important missionary calling given to him by the Lord, and assigning him different responsibilities. Remember, the Lord told the Twelve their duties would differ from every other quorum. The other quorums were tasked with governing the church; the Twelve were not. The Lord describes the duties of the Twelve in various verses, and it's clear they are not a governing body in the church, but instead are "sent out" into "all the world"-which means the world outside of Church headquarters. Then we see something interesting. In verse 24 we discover that the Quorum of Twelve are equal in authority and power to the First Presidency. That's pretty nifty, because the Twelve deserve not to be dumped on, what with always being required to be away from home and all. I had always thought the First Presidency was in authority over the Twelve, but that's not so. Joseph Smith did not see his calling as any more important than anyone else's. He just had different gifts and differing responsibilities. Then we get to the Seventy, and their duty is to act under the direction of the Twelve, and to be available if the Twelve require assistance to fill the need for additional preachers and so on. But get this: even though they act "under the direction of the Twelve," the Twelve don't have any authority over them. The Twelve are not in charge of the Seventy. The Lord says right there in verse 26 that the Seventy form a quorum equal in authority to that of the Twelve. You see, the Seventy are also apostles, they're just a separate quorum of apostles. The actual title of this group is "the seventy apostles." Why? Because there were seventy of them. So we had the twelve apostles, and we had the seventy apostles. Separate groups, but equal to each other in authority. Neither group was in charge of the other. Finally, the standing High Council. This is the meat and potatoes of our quest, because if the next First Presidency after Joseph's was to come from any place, it would have come from the standing high council. Why? Because this is the governing body that has authority within Church headquarters in the same way the Twelve had authority outside church headquarters. And like every other quorum, the Lord affirms that the standing high council is equal in authority to the Twelve and equal in authority to the First Presidency. Again, no quorum was in authority over any other. The high council of the church was originally formed in Kirtland, Ohio. When Missouri became the center place of the church, that council moved to Missouri, and even though membership in the body came and went, the high council remained the central high council to the church. Same thing when church headquarters relocated to Nauvoo. They retained their duties and responsibilities similar to those of the other governing body, the First Presidency, which they stood next to. If Brigham Young had not illegally abolished the high council, there would be a central high council governing the Church from Salt Lake City today, and Russell Nelson and his pals would not be the ones sitting around the board table at 50 East North Temple Street. They would be far away from there, handing out pamphlets in Constantinople or Timbuktu. In the final verse of section 107 the Lord issues a warning about any of the men in the various quorums who might be tempted to shirk his duty in favor of doing something else, and it is a pertinent warning that could be appropriately directed at every future church president from Brigham Young to Russell Nelson. "He that learns not his duty and shows himself approved shall not be counted worthy to stand." "In 1835 the Lord gave a revelation on this matter that provides for orderly succession." "The revelation states that the Quorum of the Twelve Apostles is a body equal in authority to the First Presidency." "That means that when the president of the church dies, the presidency is dissolved." "And the Quorum of the Twelve automatically become the presiding body of the Church." Well, that was magical. The result Elder Haight needs to have happen just "automatically" takes place. 3. Therefore the Twelve "automatically" become the presiding body. Nope, sorry, Brother Haight. I'm just not following your logic. Give us your final summation, if you will. "This divinely revealed procedure...revelation from the Lord"
"...for installing a new president of the church...has been followed to our present day." Why Didn't Brigham Young Didn't Think Of That? If D&C 107 contained even a modicum of evidence to support the claim David Haight attributes to it, don't you think Brigham Young would have cited it to bolster his own authority claims? What about John Taylor, Wilford Woodruff, Lorenzo Snow, and others? Wouldn't it have saved a lot of hassle on the part of those who had trouble justifying their right to dissolve and reinstall a new first presidency if only that revelation gave them the authority to do so? Everyone in 1844, especially Brigham Young, knew the 1835 revelation did not mean what modern Mormons think it means concerning the Quorum of Twelve Apostles. That revelation certainly did not contain or imply what the LDS church's Encyclopedia of Mormonism now claims: "Further direction pertaining to the organization of the First Presidency was given in a revelation on priesthood in 1835. Three men were to be chosen and appointed, and ordained to that office by the Quorum of the Twelve apostles, 'and upheld by the confidence, faith, and prayer of the church.' (D&C 107:22). On the contrary, readers can examine that verse and the entire revelation in vain for such an alleged provision that the Twelve were to choose the First Presidency. No such statement existed in either the 1835 revelation or any other Mormon document. During Joseph Smith's lifetime, the Twelve did not have the right to organize even a stake high council, let alone the First Presidency." 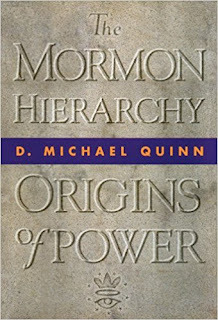 (D. Michael Quinn, The Mormon Hierarchy: Origins of Power, pg 157-158). 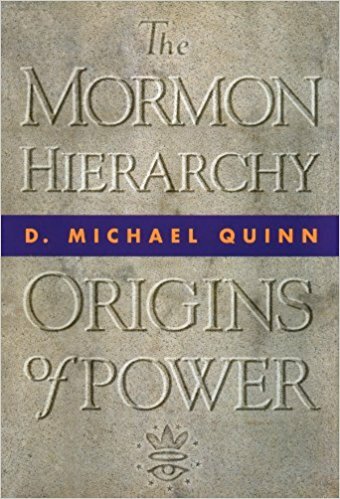 When I first read that in Quinn's book several years ago, I could not believe the writers of that segment in the Encyclopedia of Mormonism actually altered scripture in order to make it appear God said something he never said. So I pulled volume two of the Encyclopedia of Mormonism off the shelf and opened it up, and sure enough, there it was: a complete fabrication inserted into their telling of verse 22, deliberately intended to deceive the reader. The authors of that contribution are J. Lynn England and W. Keith Warner. If anyone out there knows them, tell them I said they are blatant liars and deserve to be publicly shamed. Who Is Authorized To Lead The Church? When members of the Quorum of the Twelve today declare that the Lord provided the means for a smooth transition of authority from one church president to the next, they are being completely truthful. The only thing they neglect to mention is that the Lord deliberately leaves them out of the process. Jesus Christ, the head of the Church at the time, gave Joseph Smith the authority to appoint anyone he wanted to succeed him as president. Joseph chose his brother Hyrum. But Hyrum was murdered along with Joseph, so now what do we do? I wonder if it had occurred to many people at the time, that by taking Joseph and Hyrum unto Himself, perhaps the Lord was trying to tell them something. Something on the order of "you don't deserve to have these men among you." If the Saints had any sense at all, they would have realized the Lord was calling them to repentance. He already told them way back in 1832 that they were all under condemnation. (D&C 84: 55-57.) Four years later he warned them of the cursings and judgments that would soon come upon them if they didn't straighten up right away. He said if they continued to ignore His warnings, they would be moved out of their place. (D&C 124:45-48.) Those cursings and judgments took place soon after, and the people were indeed moved out of their place. But instead of repenting, every 24th of July Mormons in Utah make a holiday out of the way God allowed them to be moved out of their place, and treat it as if it were a cause for celebration. In my opinion, and in the opinion of others I know, there is no need to be in a hurry to have someone preside over the church, at least not until they have repented and learned to govern themselves according to the commandments of God. But if there was a need for a new First Presidency to replace the last one, those men would properly come from within the standing high council, not the traveling high council as it is improperly done today. Of course, first we would have to reconstitute the high council, because one of the first things Brigham Young did was get rid of it. As you can guess, that body stood in the way of his ambitions. "Thus in the developing days of Church government, the standing high councils stood in the line of succession." Yes, it's true. An item sold at Deseret Book actually contained something of value. Joseph's younger brother William, an apostle at the time and rightful Patriarch after the death of Hyrum, lambasted Brigham and the Twelve for their blatant usurpation of authority. Though he recognized the right of the Twelve to ordain patriarchs in the mission field, he denied they had the right even to ordain him as patriarch, because that authority was not theirs to bestow. Here's something else worth noting: when Joseph ordained his brother Hyrum to become co-president of the church, he was able to do so because Hyrum already held office as a member of the standing high council. Had Hyrum been a member of the Quorum of the Twelve, it would have been inappropriate for Joseph to yank him out of his calling as a missionary and place him in church government. Hyrum had to hold the high priesthood inside a stake of Zion, or he could not have been given a calling having to do with governing the church. Unfortunately for the church, William Marks was not interested in becoming president. He did not posess the kind of blind ambition as Brigham Young. Nevertheless, Brigham wasn't taking any chances; he immediately did what had to be done to get Marks out of the way. Again, these sly machinations are fully documented in Brigham Young's Hostile Takeover. We will never know how much different the church would be today had the members refused to "go along" with the Twelve as the Twelve began usurping power and authority the Lord had deliberately withheld from them by revelation. We have a word for when a person substitutes his own will for the commandments of God. We call it disobedience. The Lord has told us that he is bound when we do what he says, but when we do not what he says, we have no promise. That applies to leaders of the Church as much as anyone else. Maybe even more. If all this is new to you and your head is swimming, I recommend this thorough list of sources and citations for you to examine. It's a bit more orderly than my disconnected ramblings here, but I think it vital for every believer in the Restoration to look into the matter at this juncture if we are to awaken to our awful situation. Also, I spoke to Radio Free Mormon yesterday, and he will be posting a podcast related to the same topics covered in this post, which should appear sometime today (Sunday). He is always informative and entertaining, so keep checking there. And I hope you'll check back here next month when I discuss some of the things to consider before sustaining Russell M. Nelson as president and prophet, given his history of open rebellion against God. Meanwhile, I'll close by re-quoting the words from Hoyt Brewster that I opened this piece with, followed by a warning from Joseph Smith. "The moment we revolt at anything that comes from God, the devil takes power." The Radio Free Mormon podcast referenced above is now available. 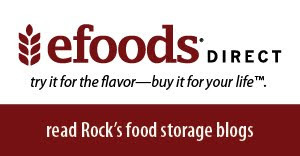 RFM covers important stuff I either hadn't noticed or overlooked, so this is essential listening. Highly informative AND very entertaining. He made me laugh right out of the gate. But make no mistake, things are worse than even I was aware. Click here for "Illegitimate First Presidency."